I made a piece of furniture. Which is a bar stool because I am an interior designer and I work more on furniture design. And I chose the stool because it would be clear enough to explain the silver ratio on it. 1. 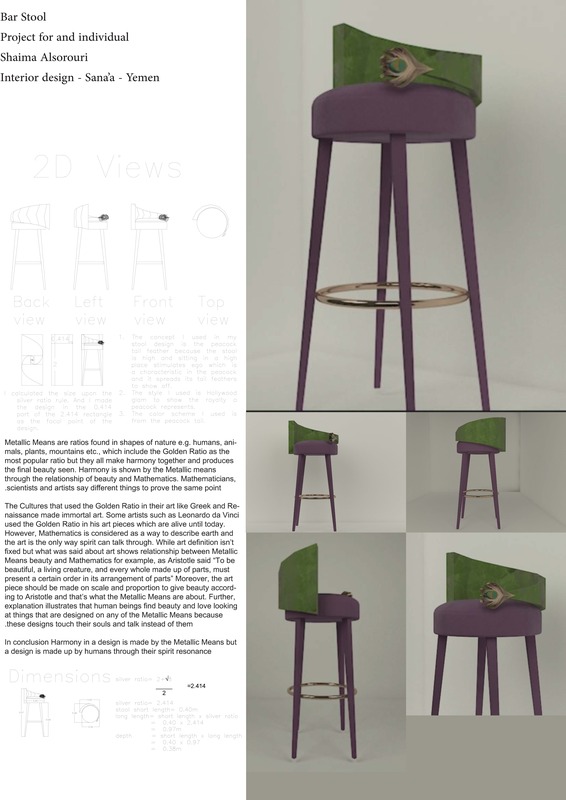 The concept I used in my stool design is the peacock tail feather because the stool is high and sitting in a high place stimulates ego which is a characteristic in the peacock and it spreads its tail feathers to show off. 2. The style I used is Hollywood glam to show the royalty a peacock represents. 3. The color scheme I used is from the peacock tail.